You must make reservations at least 5 minutes in advance of the time at Lillie's Asian Cuisine - Las Vegas. 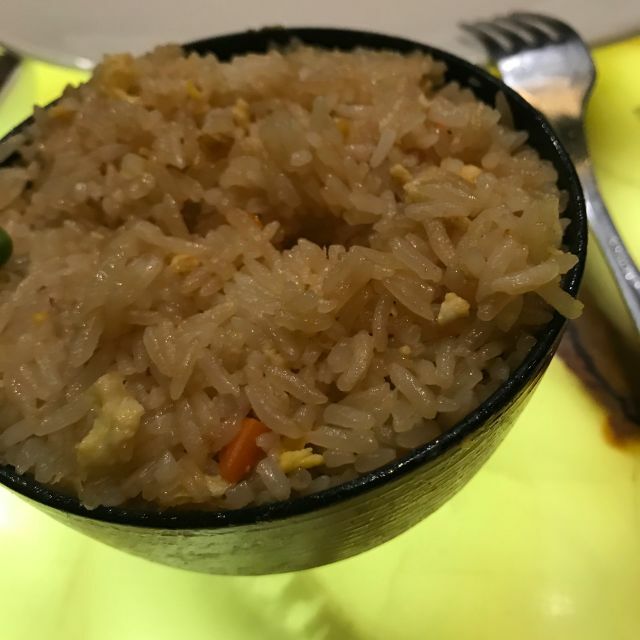 The restaurant boasts a delicious fusion of Chinese and Japanese flavors with a Pan-Asian flair, alongside a variety of appetizers, soups, salads, stir-fry and traditional Asian noodle dishes. Select locations include hibachi tables for an entertaining and delicious evening! Exotic desserts and premium beverages, including a vast array of sake, are sure to entice. To make teppanyaki reservation, please call the restaurant, and we will be happy to assist: 702-386-8131. Felt rushed to get out the door. They cooked the food at the hibachi with very little flair or show. Part of the reason you spend the money is for the show. Was a huge disappointment. We have introduced at least 10 other people to Lillie’s and they have all loved it too! It was just OK food. 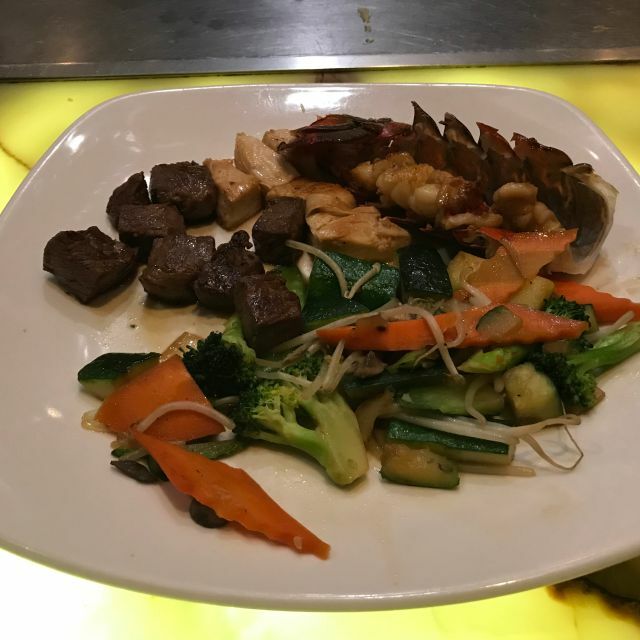 We ate at the teppan grill based on the other reviews and found it less than average. For the price it was NOT a good value. The whole presentation seemed dated and tired. The food was super yummy. The appetizers were exceptional. Our waiter Amir? was so friendly and helpful. The manager also came by to check if everything was good. I would definitely recommend this restaurant if your on Fremont St. Excellent food, and outstanding service! Always a go to stop when in downtown Las Vegas. Nothing but great things to say about Lillie’s Asian Cuisine and the staff! Our waiter, Willie, was efficient, attentive, humorous and had personality PLUS! Our chef for the night was both very skilled and very fun. We really enjoyed our visit and will be back!! We love Lillie's!!! We have been coming to the Golden Nugget for probably over 3 decades and every trip since this Lillie's has been there, we have a meal. 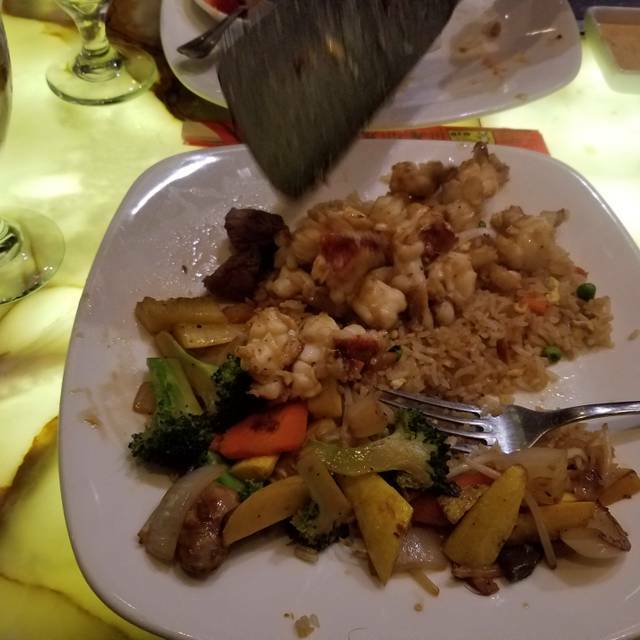 We enjoy the Hibachi Chefs, the food, and the entire atmosphere. We are always pleased beyond belief when we go to Lillie's. Thanks for being there and keep up the good work! 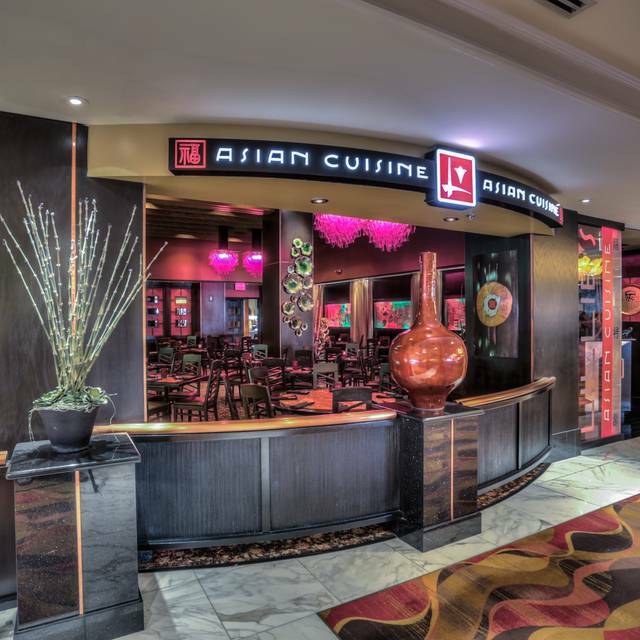 If you're looking for a fun & tasty hibatchi experience on Fremont street, this is the place to go! Food was good, but not exceptional based on the expensive prices. Really no better than a local hibachi grill. Great meal in a wonderful atmosphere. This was a meal between myself and a couple of co-workers. We stayed on the Strip but came downtown to check out Fremont Street and enjoy dinner, Lillie's did not disappoint. Everyone enjoyed the meal and we all would come back again. This is some seriously crappy food. It wasn’t one dish or two, but everything we ordered was bad. The highlight was the service. It was excellent and really enjoyed our waiter. So much so that we did t have the heart to complain or send anything back. I don’t know how this place got the rating it had on Open Table, but I’m guessing that was for the hibachi grill. Everything off the menu was awful. Food had very little flavor. Whenever we are in Las Vegas, we make it point to eat at lillie's(in the Golden Nugget) The food is excellent, service has always been great - they always have a good crowd , enjoy the atmosphere , food and drinks! Wonderful and friendly atmosphere! Special evening with our son and daughter in law before seeing Marshall Tucker at Golden Nugget. It was a special evening. The wonton soup was really good. The dinner portions of food were small for the price. Service was just OK . Would I recommend Lillies? Sure.. If your not to hungry. The food was terrible and cold and the manager acted as if he didn’t know how to just remake the food and bring to me fresh and hot. I returned my meal after trying twice to get them to fix the meal. Surprisingly refined food and a quiet, casual atmosphere. There's a variety of Asian-inspired food to choose from, and it was all prepared very well. Landry's continues to impress! This is a good place to have Chinese food in the Downtown area. We were seated quickly, but it was very loud in the restaurant. Also, we ordered an appetizer but it came with our main dishes. We asked for tea, and it was $8 for a pot of tea where it's usually free. Okay, no problem. We ordered Kung Pao Chicken, Beef Chow Fun & Spring Rolls. After the food was dropped off, the manager/owner came over and asked if we were okay...but other than that, we were ignored. Had to ask three different people for to go containers and our check. It took 30 minutes to finally get both. For a Saturday evening of a three day weekend, they seemed to be understaffed and overwhelmed. And it was 9pm! Mediocre food - nothing special. EXTREMELY noisy. Good choice in Vegas downtown. A little noisy but good service and food. The food was incredible but the service was deplorable! I wasn’t overly impressed here. The food was OK only. You can go to almost any local Chinese restaurant for the same food cheaper. They also have the tapanyaki tables in the same area as the regular dining room and the people eating at those were very loud which is cool for them but not regular diners that are hoping for a quieter dinner setting. Kong was awesome. The food was really good, steak was super tender, scallops were cooked perfect, and veggies were delicious. We loved the service and reasonably priced wine. We did the teppanyaki and didn’t regret it. We got hit with awful rinds after meal. I think was the scallops since this is what we both had that was the same. Other than that food was good. Very excellent dinner at the hibachi table. Chef Kong was on his game! Good time had by all! The food was average. It’s nothing to write home about. It’s typical Chinese fast food. Christine was our server and was wonderful. Food was excellent. Definitely recommend this restaurant. Food was excellent. Prices were very reasonable. Service was excellent as well. Best dinner we had while in Las Vegas! Prices are exepensive lobster 70dll One lobster alone. The rest prices are high. Great experience. Food, service and ambiance was very good. Martini & Manhattan were very good also. I’ve been eating at Lillie’s since it opened at the Golden Nugget. 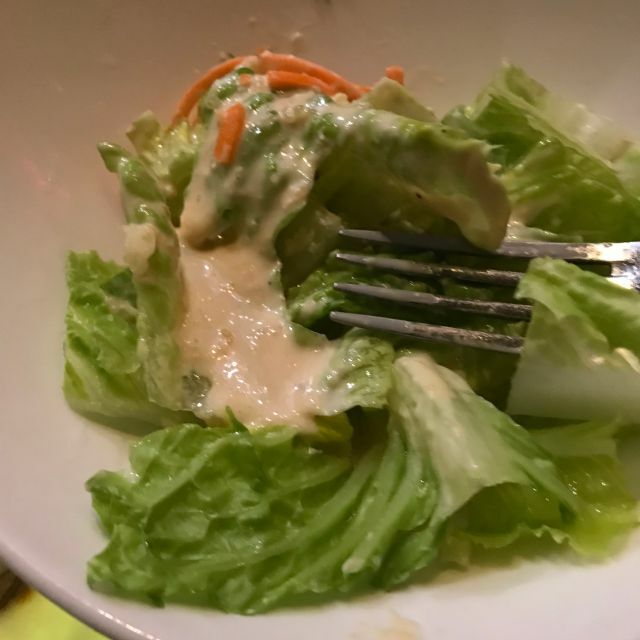 The food is excellent and the service is outstanding. They have a nice mix of Asian cuisine. I’ve had a nice variety of food I their menu, but they also have Japanese hibachi, which is fun to watch, but I haven’t tried it there. John the chef was amazing! So much fun and personable! Really made my parents anniversary special and dads birthday!! Thank you! We will be back soon! Food was great and the service was outstanding. Recommend to reserve seats ahead of time so you don’t have to wait for long even in weekdays.